Konk, named for the Ray Davies-owned studio where it was recorded, is bigger, brighter, more tuneful, and more ambitious than the first album, and it seems destined to join Inside In/Inside Out in the ranks of undisputed Brit-rock classics. 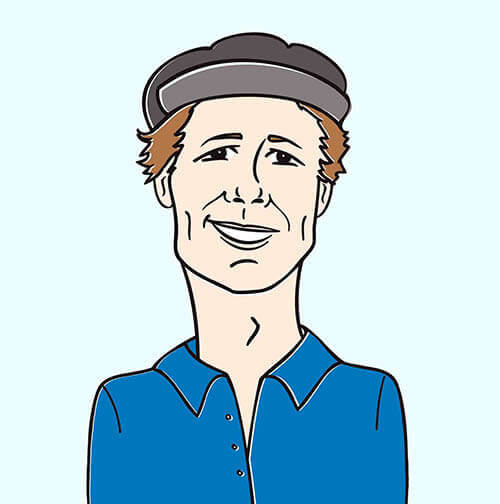 “Always Where I Need To Be”, the teaser single from the Tony Hoffer-produced follow-up, gives listeners an idea of exactly where the band has headed. Turns out they’ve derived more than just studio time from Ray Davies: in its faith in the power of the distorted guitar-riff and the rough-but-sweet lead vocal, “Always Where I Need To Be” evokes Sixties-era Kinks. Singer Luke Pritchard’s protean talent is a thing of renown in Britain, and it’s on bold display here: he sounds simultaneously gutty and tender, arch and approachable, tuneful and tough. The camera loves him, too. He shines in Brendan Molloy’s sly, casual, delightful clip for “Always Where I Need To Be”, dancing before the microphone in a sun-lit Brooklyn practice studio. You’ll remember that The Kooks video for “She Moves In Her Own Way” (U.K. Top 10) caught the band in action as they traveled through the streets of Mexico; the lead clip fromKonk is based on a similar concept, but New York City is the territory the band is exploring. They roam through Manhattan streets, play atop a Kingsborough warehouse, and even indulge in a quintessentially Gothamite activity – attending a casting call. The clip has a gentle, hand-held quality that draws the viewer closer to the group; it’s a concession to the intimacy that Kooks fans worldwide want with their heroes. What’s more, it’s the kind of clip guaranteed to win over the unconverted: if you weren’t pulling for the Kooks before now, you surely will after watching “Always Where I Need To Be”. We have also been eagerly awaiting this new clip, and we’re very excited to be working together with Risa Morley and the folks at Astralwerks to bring it to you and your viewers. The band will be touring the US later this Spring, so please keep your eyes peeled and let us know if you’d like to set up a video interview when they come through your market. If you need more info, call Andy Gesner at 732-613-1779 or e-mail us at HIPVideo@aol.com. 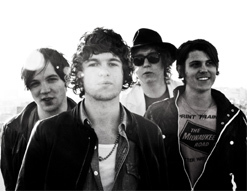 You can also visit www.Astralwerks.com, or www.TheKooks.co.uk to find out more about The Kooks.